Japanese manufacturing techniques, as an area of influential practices and philosophies, emerged in the post-World War II era and reached the height of their prominence in the 1980s. Many adaptations of Japanese methods, and indeed, Japanese manufacturing vocabulary, have made their way into U.S. and worldwide manufacturing operations. 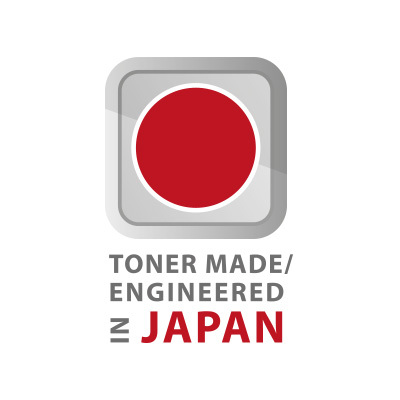 Distinguishing characteristics associated with Japanese manufacturing include an emphasis on designing processes to optimize efficiency and a strong commitment to quality. It achieves cost reductions by eliminating waste, be it staff time, materials, or other resources. It reduces the likelihood of overproduction by maintaining low inventories (“nonstock”) and keeps labor costs low by using minimal manpower. It reduces production cycle time drastically with innovations like the Single-Minute Exchange of Die (SMED) system, which cuts downtime and enables small-lot production. It emphasizes that product orders should guide production decisions and processes, a practice known as order-based production. These and other practices form a contrast to traditional (e.g., pre-1980s) Western manufacturing, which tended to emphasize mass production, full capacity utilization, and the economies of scale that were presumed to follow. The driving force behind the Japanese system of production is eliminating waste, thereby maximizing process efficiency and the returns on resources. A wide number of principles and practices can be employed to achieve this goal. As Shingo once noted, people instinctively know to eliminate waste once it is identified as such, so the task of reducing waste often centers first around identifying unnecessary uses of human, capital, or physical resources. After waste is targeted, new processes or practices can be devised to deal with it. An important aspect of eliminating waste is designing efficiency into production processes and methods. For example, in the Toyota system heavy emphasis was placed on lowering the time and complexity required to change a die in a manufacturing process. A time-consuming die-changing process is wasteful in two ways. First, while it is happening production is often at a standstill, increasing cycle times and all the costs associated with longer cycle times. (However, it is important to note that idle time for individual machines in a system is not always viewed as wasteful under the TPS philosophy.) Second, workers’ time and effort are spent on activities that aren’t directly related to production (i.e., no value is being added by changing a die). As a result of such concerns, the push at Toyota was to reduce significantly the time it took to change dies. Major process improvements often occur through a series of smaller initiatives, summarized in the Japanese word kaizen, or continuous improvement. In the classic example, Toyota dramatically reduced its die-changing time over a two-year period. In 1970 it took the company four hours to change a die for a 1,000-ton stamping press. Six months later, the changing time had been cut to one and a half hours. The management then, under the leadership of Taiichi Ohno, set the formidable goal of reducing the time further to just three minutes. Shigeo Shingo, already a highly regarded manufacturing consultant, was employed to design a process that would meet this objective. He approached the problem with two guiding principles: lowering the complexity of the changeover process and standardizing the tools used in it. Shingo looked at such factors as what kinds of fasteners were used to hold dies in place and how much time and variability was involved in performing various tasks during changeover. The result of his work was that by 1971 Toyota had indeed achieved its goal of a three-minute die change. Other kinds of process improvements resulted from such philosophies as well. Whereas process improvement in many Western firms focused on training workers to master increasingly complicated tasks, the drive in Japanese manufacturing was to selectively redesign the tasks so they could be more easily and reliably mastered. One example is the concept of poka-yoke, also pioneered by Shingo in the 1960s, which involves designing a foolproof process to eliminate the chance of errors. Such a process usually consists of a simple yet definitive physical test of whether something is being done correctly. One type of poka-yoke, for instance, is when a part is designed to only be inserted into an assembly right-side up (i.e., it won’t fit otherwise), removing the possibility that it can be inserted the wrong way. Three-and-a-half-inch computer diskettes contain this kind of poka-yoke. Other kinds of poka-yokes test the shape of manufactured products for defects or monitor steps in a production process to ensure all are completed and in the correct sequence. Poka-yokes have been widely developed to minimize worker error and improve quality control. TPS and similar Japanese manufacturing techniques distinguish between activities that add value to a product and those that are logistical but add no value. The primary—even the sole—value-added activity in manufacturing is the production process itself, where materials are being transformed into progressively functional workpieces. Most other activities, such as transporting materials, inspecting finished work, and most of all, idle time and delays, add no value and must be minimized. When processes are examined for potential improvements and cost cutting, reducing non-value-added activities is often the highest priority. Conversely, processes that add the most value, even if they are expensive, will usually not be compromised to achieve lower costs at the expense of quality. Another area of waste that is a special concern in the Toyota system is excess inventory. The ideal is to produce without accumulating inventory, a condition known as non-stock or just-in-time production. In such a process the company produces goods at the exact quantity and schedule that they are required by its customers. To produce more than customers actually need—or sooner than they need it—is considered overproduction, leading to a build-up of stock or inventory. Overproduction can also occur internally when different steps of a manufacturing process aren’t synchronized and excess materials or semi-finished products accumulate. Systems like the Japanese kanban established a set of often simple visual cues in the factory (e.g., when no work-in-progress is waiting in a painted square on the floor, it is a signal to advance the next item into the process) to help coordinate and synchronize the flow of materials and work. Carrying inventory is wasteful because the company must store it or perform other additional handling that increases the total cost of its operations. By minimizing the need for such storage and handling, the company can reduce both the direct costs of holding/handling inventory as well as the indirect costs of tying up capital in the form of excess inventory. A natural and necessary extension of the non-stock goal is that manufacturers need specific customer information to drive their production decisions. Obtaining this information necessitates effective market research/forecasting and communication with customers. As much as possible, production under the Japanese system is guided by actual orders, rather than anticipated demand based on less reliable information such as past sales. The order-based system is said to provide production “pull” from the actual market, as opposed to “push” that stems only from the manufacturer’s conjecture. The Toyota Production System also recognizes waste in the excess movement of items or materials. In general, the more transportation required, the less efficient the process, since moving goods back and forth is normally not a value-adding procedure. Transport waste is usually addressed by changing the layout of a factory, its geographic location relative to its customers, and so forth. While sometimes transportation problems can be mitigated through automation, the ideal under the Japanese system is to minimize it altogether. Cell and flexible manufacturing layouts are one approach to controlling transport waste. It is important to note that reducing transportation costs may be at odds with other goals of the Japanese system, particularly small-lot, order-based production, which leads to smaller, more frequent batches of work and thus more deliveries of materials or finished goods. This can potentially increase the amount of resources devoted to the transportation function, aggravating the need for transportation efficiency. Ideally, the overall process chosen will minimize total costs by striking a balance between the wish to eliminate inventory and the wish to reduce transportation costs. Another feature thought to be defining in Japanese manufacturing is a marked attention to quality throughout the production process. Specifically, under the influence of such luminaries as W. Edwards Deming and Joseph M. Juran, Japanese manufacturers have sought to achieve quality by designing it into the production process rather than simply trying to catch all the errors at the end. As noted, poka-yokes can serve this function either by halting/correcting a faulty process or by alerting a worker to a problem as it occurs. While plenty of traditional, defect-monitoring sorts of quality controls are still used, philosophies such as TPS hold that the results of quality inspections should be used to inform—and improve—the manufacturing process, not just to describe it. This means the feedback from a quality inspection is expected to be immediate and, often, to result in some change in the process so that the likelihood of similar problems in the future is reduced. In contrast to the traditional practice of setting prices by marking up some percentage over the cost of manufacturing, the Japanese system attempts to identify the market-determined price for a good and then engineer the manufacturing process to produce at this price profitably. Under this principle, increases in costs are not passed on to the consumer in the form of higher prices. As a corollary, the only way for a firm to increase profitability is by lowering costs; lower costs may also allow the company to be profitable yet deliver products at the low end of the pricing spectrum, a practice central to the rise of the Japanese auto manufacturers in the U.S. market. Maximizing returns on human capital is another goal of Japanese manufacturing practices. Driven by the theory that human time is more valuable than machine time, the Japanese system attempts to optimize labor efficiency by deploying workers in different ways as order-based production requirements fluctuate. The main two dimensions of this flexibility are skills and scheduling. More so than in the United States, for example, Japanese manufacturers have emphasized cross-training workers to perform various functions as needed, rather than tying them to a particular machine or process. This is believed not only to improve the subjective work experience, but also to create well-rounded employees who can be assigned exactly where needed in the process without creating delays or diminishing the quality of work (this also feeds into the wish to keep worker tasks simple and foolproof). In practice, this often translates into individual workers running several machines simultaneously, a practice called jidoka, with the machines designed to eliminate both error and the need for constant supervision. Having multiple responsibilities also gives rise to the need for special safety accommodations to reduce the chance of injury in an integrated work environment. In the legendary Toyota production reforms, converting to a multi-machine worker system reportedly achieved 20 to 30 percent gains in worker productivity. In scheduling under the Japanese system, as long as a process is functioning on a just-in-time basis, the manufacturer will tend to structure the process to optimize the use of human labor, even if it means leaving machines idle. Overtime and temporary labor are used to accommodate short-term spikes in production requirements. Many of these practices and principles began to attract a serious following outside Japan in the late 1970s, although their implementation continues to the present. During the 1980s many large U.S. manufacturers began to adopt just-in-time practices to improve efficiency. By the late 1980s and early 1990s this and related practices were commonly termed “lean manufacturing,” highlighting the role of reducing waste in the production process. In many cases hybrid approaches were developed that embodied some of the principles of the Japanese techniques but also maintained some of the historical differences. More recently, methods like JIT have been increasingly influential in non-manufacturing industries such as retailing and services. Although critics have rued the wholesale adoption of Japanese manufacturing techniques in the United States on grounds that some aspects are particular to the Japanese culture and economy, the Japanese system is widely recognized as delivering many of the efficiencies and cost reductions it sets out to. Indeed, evaluating the success of attempts to transplant Japanese methods can be difficult for U.S. firms at first, as some companies have found that their traditional accounting concepts obscure some of the economic benefits these methods confer.